Outside of school days children were left to create their own amusements. 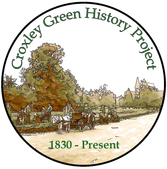 Croxley Green was a haven and a safe place for the adventurous boy or the genteel girl. The woods and green fields gave them opportunities for freedom during holidays and after school when they were not helping with any family duties. 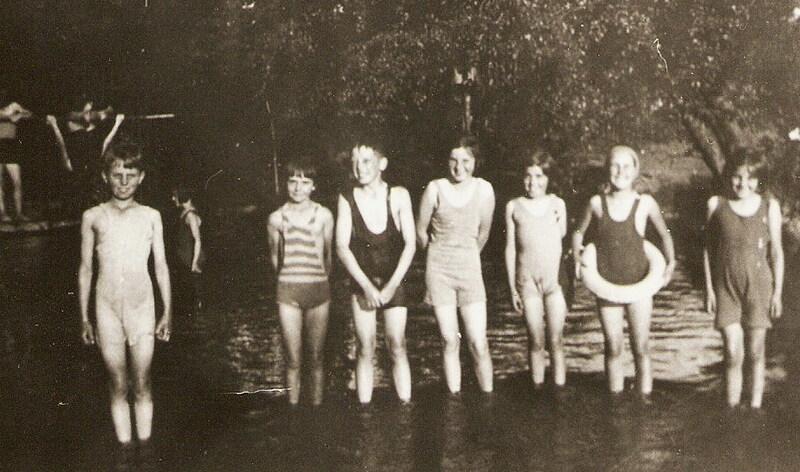 Simple games were very popular with boys especially – a favourite game down by Common Moor was to jump off the lock bridge into the canal water and swim/ race to the next lock at Lott Mead and race back along the towpath. ‘Pine-bending’ was a skill not easy to achieve and mostly accomplished by the slight and heroic! As the name suggests tallish/thin/supple young trees, preferably pine, would be the target. The aim was to see who could climb to the top before the tree bent over with the weight of the boy. At some point the tree would bend allowing the boy to make his exit and jump to the ground. Each height reached would be visually recorded and the highest boy of the day proclaimed the winner. Of course not all ‘games’ were quite as legal. During the early part of the 1900’s boys wore long socks and breeches (trousers that were worn below the knee and held in place usually with ties or a button and loop) and these garments were ideal for storage purposes. When Walter Stone’s orchard was abundant with delicious sweet apples, certain bold and daring youngsters would take the opportunity to help themselves and this activity was known as ‘scrumping’. Should one get away with a good haul, the awaiting hero worshippers would be just out of view. Unfortunately, although Walter was reputed to have just one good eye, he none the less was often one step ahead and would appear from ‘nowhere’. He was, however, a good-natured chap but would out of necessity appear to be angry. With him in pursuit and fearful they would be caught, they would undo the ties around their knees and jettison the apples for a speedier exit. This was far preferable to being taken to the local village policeman who would give them a ‘clip or two’ around the ear which would be followed by another ‘clip or two’ when they were taken home! Meanwhile during the summer time, the girls might prefer to sit together on the grassy banks of The Green making daisy chains, necklaces and hair decorations. This was a technique that required splitting the daisy stem so that another could be threaded through until there were enough for a necklace or they could be draped in the hair for a pretty effect. Sometimes they would join their brothers down by the Common Moor and on a very warm summer’s day there would be several dozen families enjoying themselves having prepared a simple picnic. 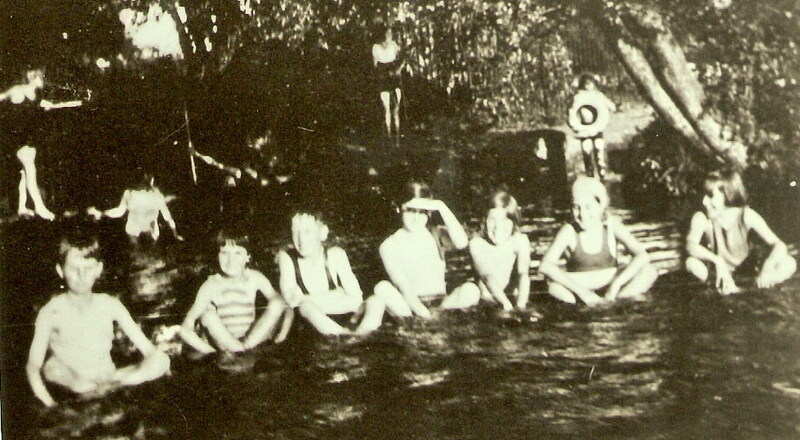 The young girls were more attracted to the more shallow waters of the adjacent River Gade which fed and took the excess water away from the canal. 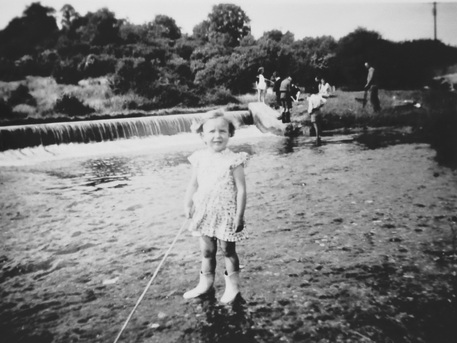 Two popular sites they particularly made for were the small over flow/ waterfall by the lock and the area where the River Gade emerged through a culvert from the John Dickinson mill, as this was always a degree or two warmer than downstream. During autumn, whilst the boys were involved with their conker contests, the girls would spend much time designing patterns with coloured chalks on top of their wooden tops. These were shaped like a mushroom or a pine cone so that when they hit them with a leather thong attached to a stick they would create a colourful effect as they spun. 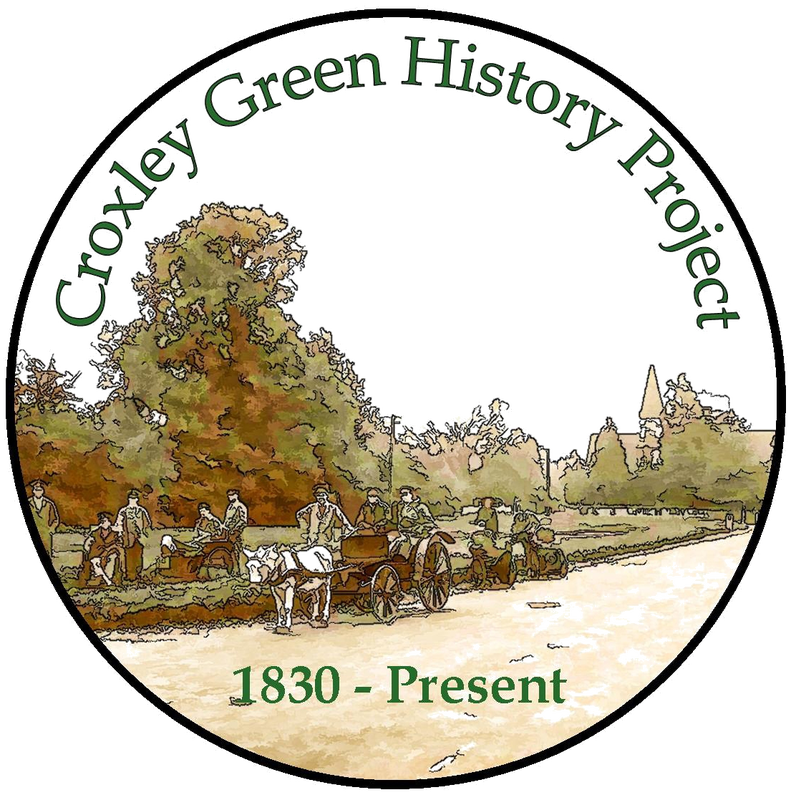 During these times when few luxuries were available, let alone affordable, the children living in Croxley Green were able to invent and enjoy their own ‘made up’ games and activities with endless imagination.